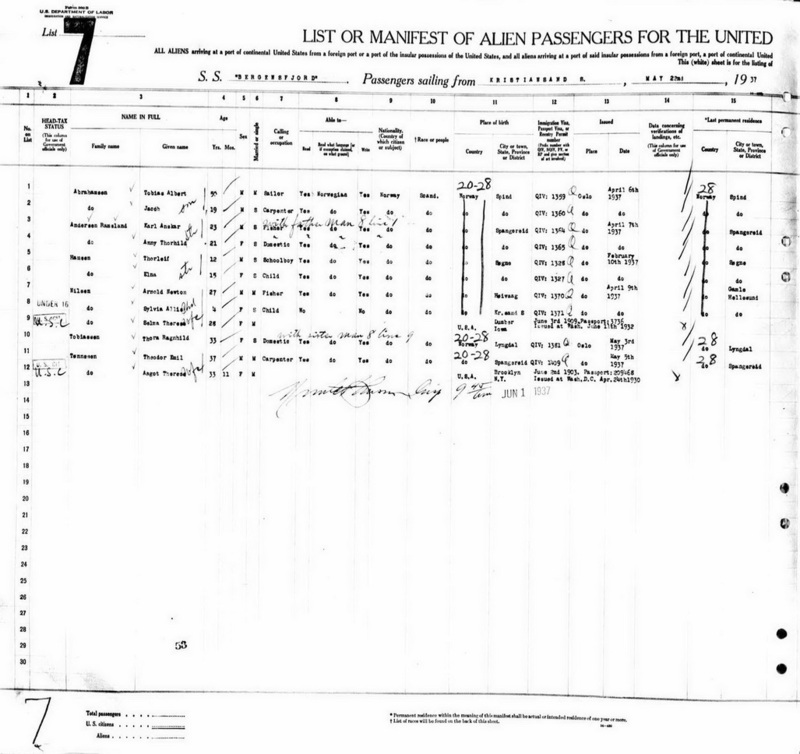 Jacob, a native of Norway, arrived in New York City on 1 June 1937 with his father aboard the SS Bergensfjord which had sailed from Kristiansand, Norway on 22 May 1937. Although not yet a US. citizen, Jacob enlisted in the Army at Ft Dix, NJ on 2 September 1941. 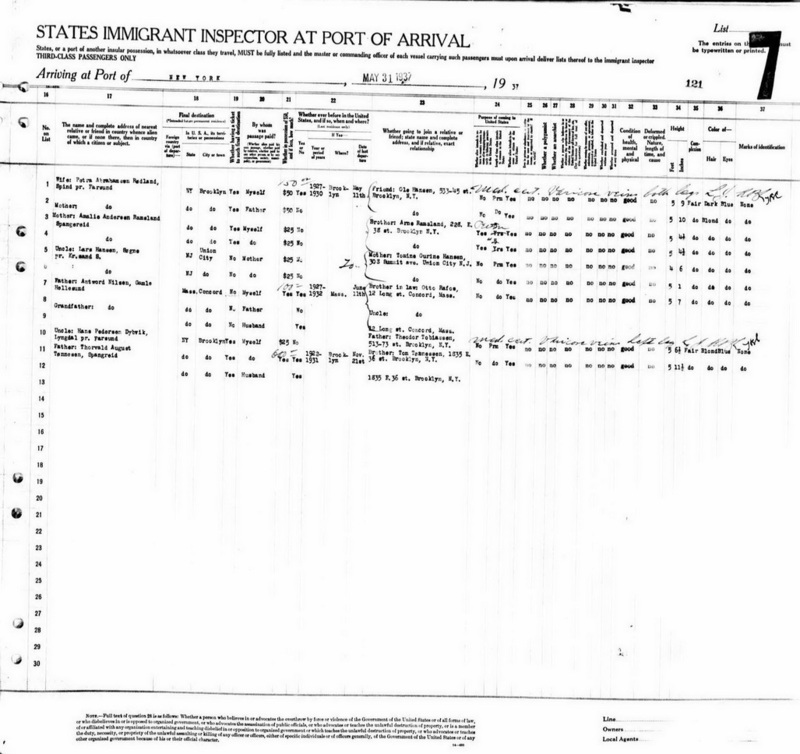 Eighteen months later, while assigned to Company E, A.F.S. 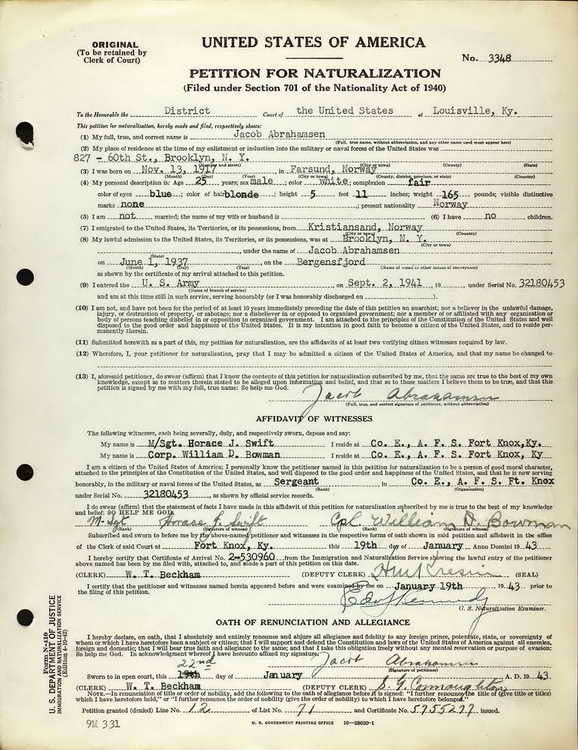 Fort Knox, Jacob submitted a Petition For Naturalization and took the Oath of Renunciation and Allegiance on 22 January 1943. Jacob Abrahamsen passed away on 11 May 2002 and is buried in the Brig. Gen. Wm. C. Doyle Veterans Memorial Cemetery, Wrightstown (Burlington county), New Jersey.